Giant bouganvilla in Hydra, Greece: Greece: ancient architecture, ruins, roadside and seaside views. 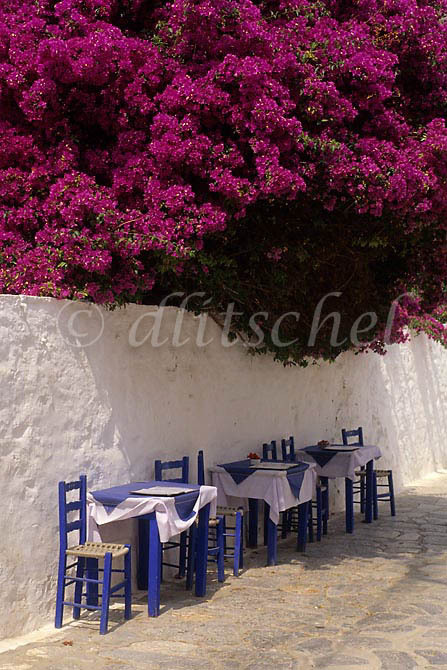 A giant bouganvilla plant overhangs the sidewalk cafe tables on the Greek island of Hydra, one of the Saronic Islands, located in the Aegean Sea between the Saronic Gulf and the Argolic Gulf. To purchase this image, please go to my stock agency click here.